Get it? Moustache? Because, by using all these scraps, I am bustin' MUH STASH? 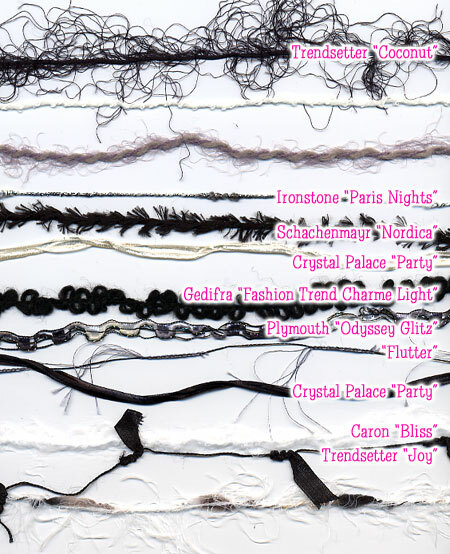 Uh, anyway, here is a great project to use up all the scraps you have that you can't bring yourself to throw away. 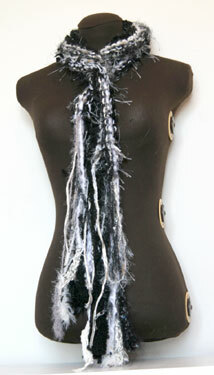 The scarf is cast on long-ways, and framed by fringe with i-cord "dumbells" hanging from the end. As you knit, randomly switch yarns after 1 or 2 rows. 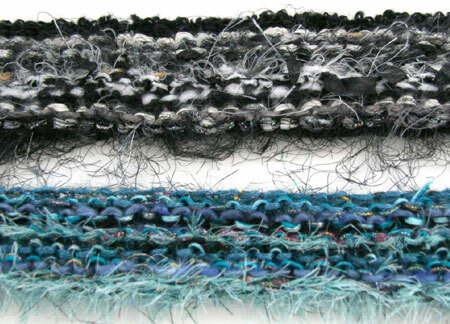 Double-up thinner yarns to match the approximate gauge of the thicker ones. 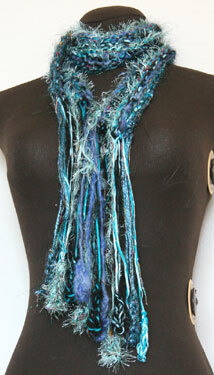 These types of scarves look best when you use a variety of different textures. For fringe dumbells, Make a 3" long 2-stitch or 3-stitch i-cord and leave a 20" tail. Fold in half and tie on at halfway point, so that one 10" half is regular fringe and the other 10" half has the dumbell hanging from it. I'm new to your site - just love it! 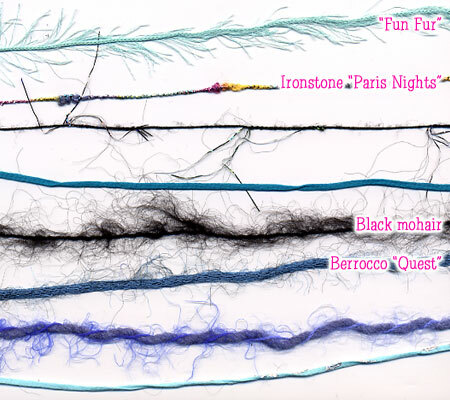 Have the yarn used for the 'moustache scarf' and a touch more - our yarn shop just closed :( - the Puffskein and Pygmy Puffs are adorable! Very glad I signed up! i am alsonew to your site and look forwartd to checking in with you often. you have such great ideas. the scrap wrap and this pattern are just great for all those extra ends from all the fancy stuiff i've used in the past and for xmas presents. now they have a new life thanks to you. keep up the good work!